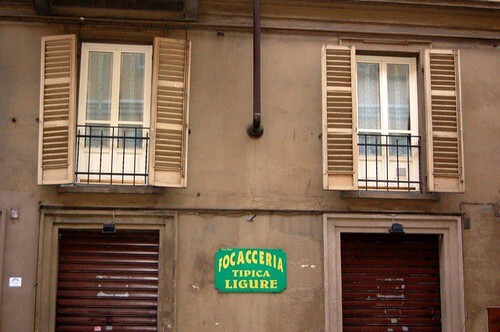 For my last full day in Turin I decide to take advantage of the tourist bus. As I'm in the off-season, it only operates on the weekends starting from 10am. 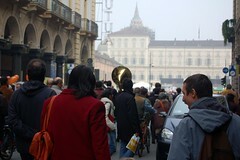 So, that means after breakfast it's a leisurely walk to Piazza Solferino. 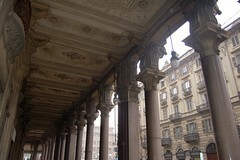 I decide to take a more scenic route through the streets of Turin. 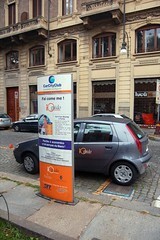 Odd thing to take a picture of I know, but this is a car sharing station. The idea is that you join, in this case, Car City Club and throughout the city there are stations like this where you can just jump in and take the car for as long or as little as you like and when you've finished you just leave it a station. Before too long I'm finally I'm at my destination - and if you have a keen eye you can see the yellow bus I'll soon be on! As I wait in the bus the driver starts chatting with me and I find out he has lots of relatives in Melbourne. By the time we depart, there's only one other person on board. I don't take any pictures on the tour but I soon realise that I've hardly seen anything and galvanises the idea that I must return to see the full beauty of this city. After the tour I decide to take the tram out to see the Basilica di Supergra. Unfortunately when I get there I realise there's just too much cloud cover so I won't be able to experience it's fantastic views over Turin. 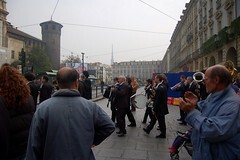 So I take the tram back to Piazza Madama and wind my way towards the National Museum of Italian Risorgimento. 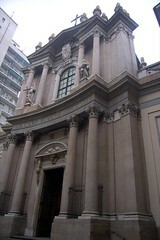 The church was built between 1642-74 for Maria Cristina of France (whose remains are housed here). The design is by Andrea Costaguta. 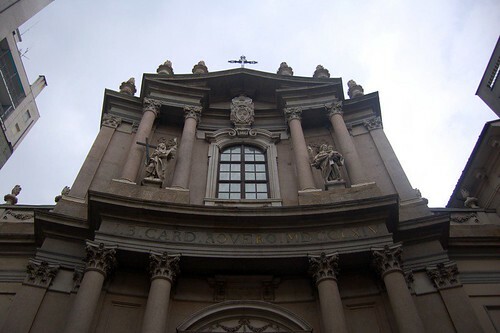 The facade is from 1764 and has been attributed to Carlo Filippo Alberti while the chapels at either end of the transept were designed in 1733 by Filippo Juvarra. 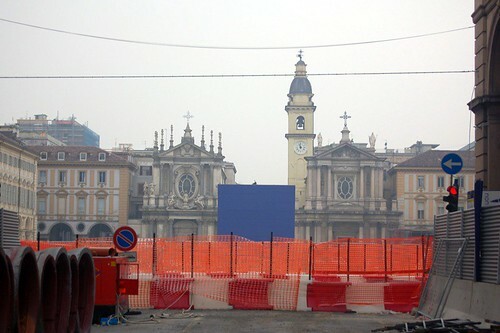 I also go past this large construction zone which is the Piazza San Carlo. It's most famous feature are the the dual churches - Chiesa di San Cristina on the left and Chiesa di San Carlo Borromeo on the right. 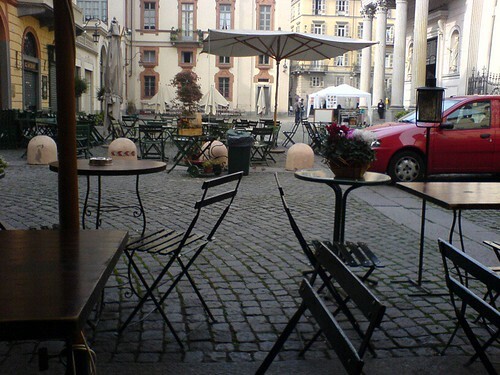 Piazza San Carlo was built between 1542-1650 and designed by Carlo di Castellamonte. 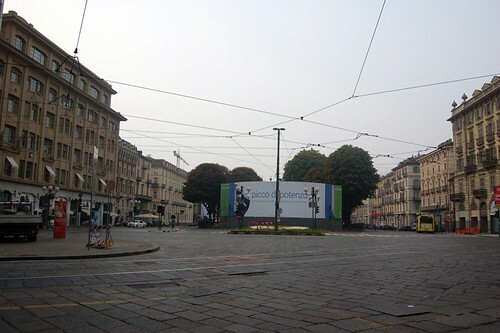 Where you now see a large blue box is where the equestrian statue of Emanuele Filberto stands. 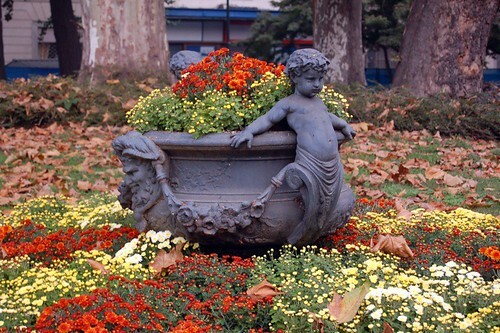 It was sculpted by Marocchetti in 1838. 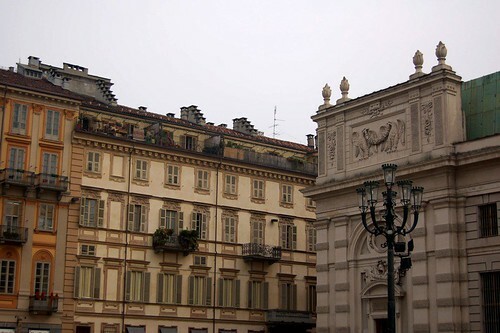 On the left side of the squares stands the Palazzo Solaro del Borgo which is now the office of Il Circolo del Whist (The Whist Club) that was founded by Cavour. Part of the construction that's happening is the building of underground parking - with it, the piazza will be finally free of parked cars. I'll have to wait for the Olympics to see how this all turns out! When I peek in to see the source I'm confronted by a bustling store where focaccias of all varieties are being made to order. It's full of locals and I can't resist the temptation. 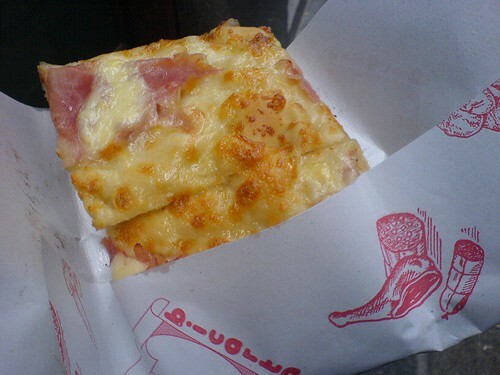 A thin based square topped with prosciutto and molten cheese - I dare anyone to resist! Sated by this treat I soon come upon my destination - the Museo del Risorgimento - it's focus in the political unification of Italy that occurred in the nineteenth century. The idea for the museum was floated in 1878 but didn't open until 1908 when it was housed in the Mole Antonelliana. 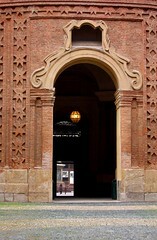 In 1938 it was relocated to it's present home in the Palazzo Carignano. 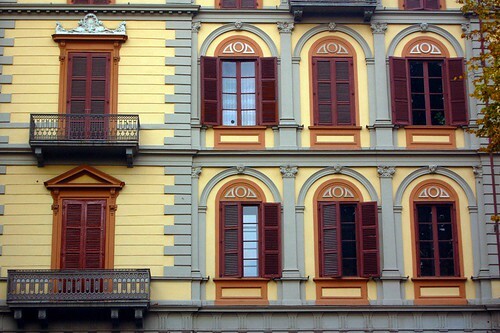 The museum houses a full documentary history of the unification from 1706 (when the French were defeated at the siege of Turin) to 1946. These photos are taken from the internal courtyard - the curved section houses the Hall of the Subalpine Parliament. 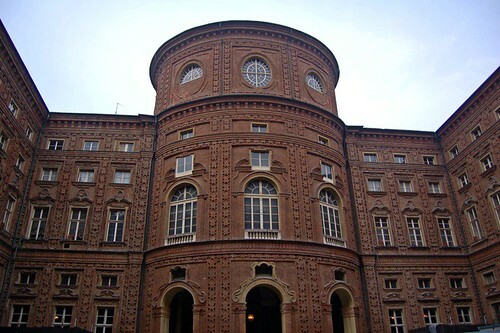 Palazzo Carignano was designed by Guarino Guarini and was the birthplace of Carlo Alberto and Vittorio Emanuele II. 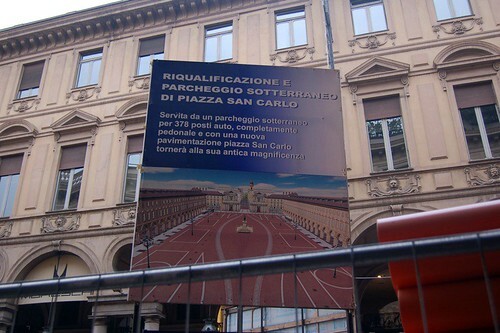 It was also the original home of the Subalpine Parliament and the Kingdom of Italy was proclaimed here in 1861. Carlo Alberto was also exiled here. 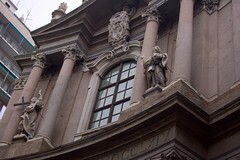 This statue sits on Piazza Carlo Alberto which is located between Palazzo Carignano and the Biblioteca Nazionale (National University Library) which you can see to the right of the photo. 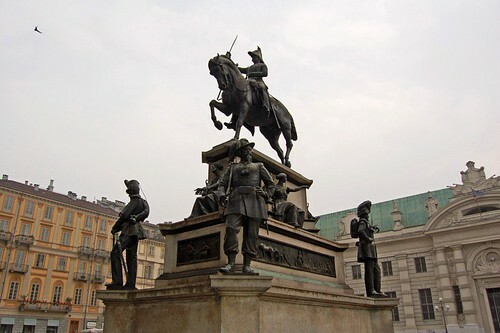 The statue was made by Carlo Marocchetti and inaugurated in 1861. 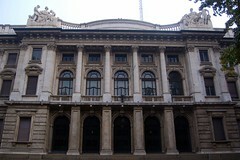 The National Library was founded by Vittorio Amedeo II. 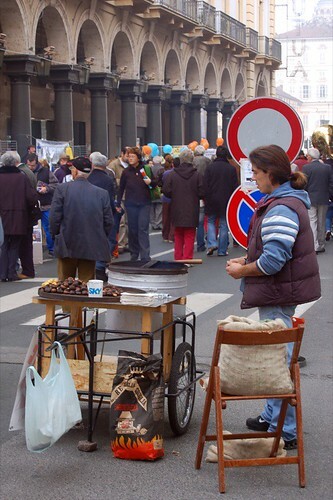 with the scent of roasted chestnuts filling the air and music coming from a wandering band. I plan my route home from here with a stop over at one of the cafe's for a late lunch. 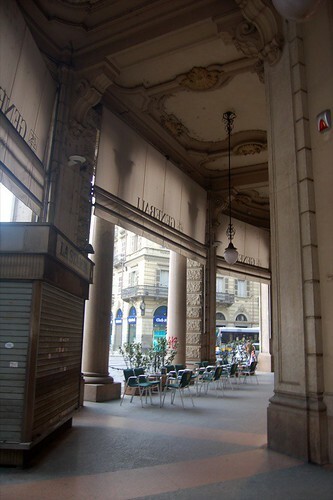 I ate inside here a couple of nights ago during the protests - today I dine outside. 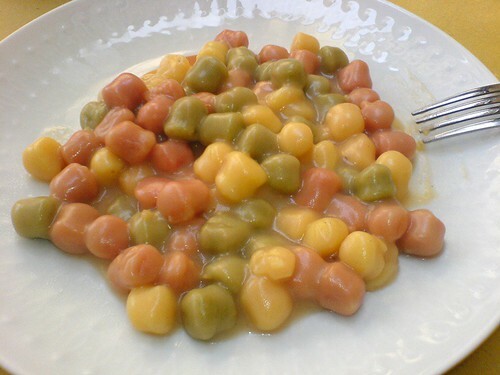 I have a plate of multi-coloured gnocchi - potato, spinach and tomato. A generous serve that I'm unable to finish. The time spent between now and dinner is in organising myself for tomorrows departure. I've sourced some envelopes and scout out the location of the post office and it's opening times - I've got another load to mail off. I'll be interested to know come the end of this trip what the total weight of these packages have been. 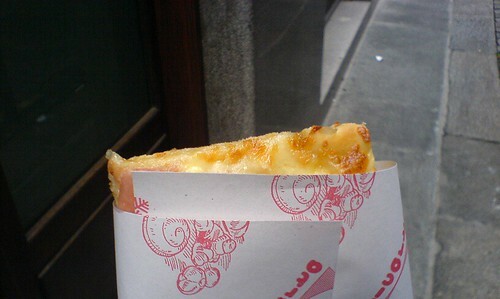 For dinner I return to Aldente, the restaurant I so enjoyed on my first night in Turin. 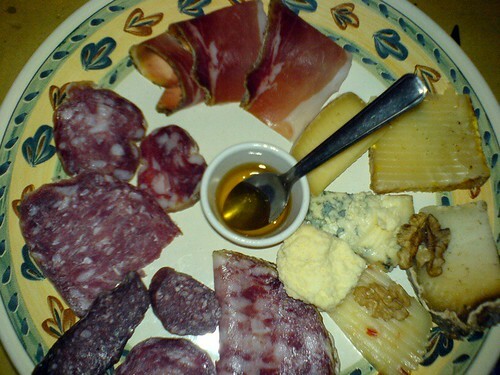 Antipasto - a wonderful mix of salami and cheese from the piedmonte region. 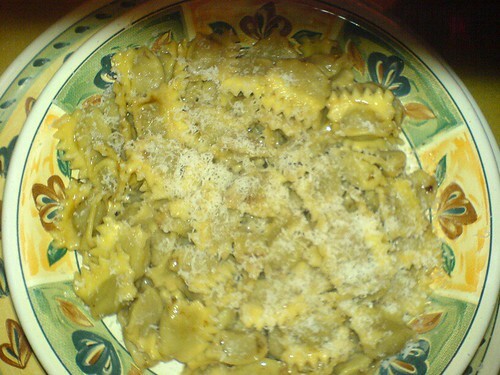 A hearty plate of Ravioli - perfectly cooked and so delightfully small. 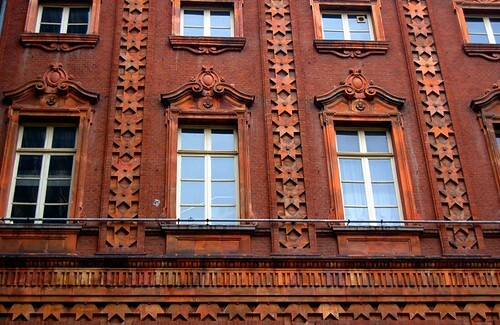 They look like little crowns. It's during my main course that Roberto, the host of the B&B turns up with a lady friend - I don't know why but I feel a little awkward. Then again, it underlines my thought that this indeed is a good restaurant if the locals are here. Unfortunately I don't have a photo of dessert but I had the most wonderful Tiramisu I've ever tasted. When I return to the B&B I find a rather anxious guest waiting at the door. I had seen him and his wife a couple of days earlier over breakfast. It seems he needs to get his passport but can't reach Roberto. See, you have to hand your passport over when you check in and you get it back when you check out. I feel a bit bad doing this, but I do tell him that he's having dinner at a restaurant just down the road and show him the way. 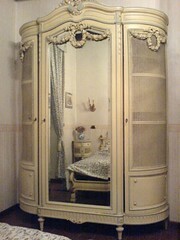 With that done I return to my room and take a last few photos of my room. 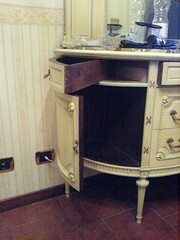 I especially love that dressing table and it's rounded doors and drawers.